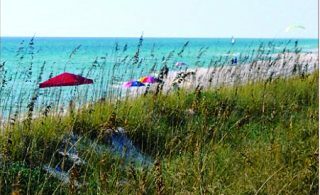 In Walton County’s complaint for declaration of recreational customary use of the beach, orders have been issued during recent weeks granting requests to intervene. Some orders involve numerous property owners and associations. The orders come in the wake of a Feb. 18 court hearing on various motions to intervene. The vast majority of the motions have been in opposition to the county declaration. The Florida Coastal Property Rights Association (FlaCPR) reported on March 7 that a total of owners of 570 beachfront parcels had filed to intervene in the case. FlaCPR is a coalition established by Walton County beachfront property owners who oppose the county complaint for declaration of recreational customary use. The task of determining which motions to intervene in the lawsuit are granted is that of Walton County Circuit Court Judge David Green, presiding judge in the matter. In a March 4 order, Judge Green granted a motion to intervene by 44 property owners. In one March 6 order, a motion to intervene on behalf of 63 property owners and six associations was granted. In another March 6 order, a motion to intervene by owners of another 39 parcels was granted. A number of other motions to intervene were granted on March 11, as well. WALTON COUNTY’S complaint for declaration of recreational customary use of the beach is proceeding in court, with motions to intervene by numerous parties being granted in recent weeks. In addition, on March 4 Judge Green granted a motion to intervene on behalf of the Grand Dunes II Condominium Owners’ Association, whose members/unit owners do not own beachfront property but have a specific right to use beachfront property. In contrast with what has generally been the case in the matter, this motion to intervene was not granted on the basis of section 163.035, Florida Statutes, the section stemming from House Bill 631 (HB 631). Section 163.035 negated Walton County’s customary use beach ordinance and set forth steps for local governments to follow in order to seek to affirm customary recreational use of the beach. The section directed that, to do the latter, the government local must proceed with a Complaint for Declaration of Customary Use, must provide notice of the lawsuit to the owners of all parcels “subject to the complaint,” and that the notice must “allow the owner receiving the notice to intervene in the proceeding,” within a set time frame. Due to the Grand Dunes II members/owners not being beachfront property owners, the motion was granted on the basis of the Florida Rules of Civil Procedure rather than section 163.035. “Grand Dunes II is hereby granted intervention as a full party defendant pursuant to Florida Rules of Civil Procedure 1.221 and 1.230 in its name on behalf of all its unit owners in the main proceeding of this matter not subordinate to it or any other related proceeding,” according to the order. There has been no order on the latter motion at this time. A small number of motions to intervene have been filed in support of the county declaration. On Feb. 18, Judge Green had ruled that 60 days from that date be allowed for Walton County to ensure that notice of the complaint has been provided to all parties as required, and that an additional 45 days then be allowed for answers, responses, and requests to be filed with the court.